Despite the enormously sophisticated propulsion system and driver-convenience technology of the BMW i3 and i8, taking care of your model could not be simpler. See below for a guide to the most basic questions about the range. The i3 and i8 can be fully recharged at home through a standard charging cable routed through a regular power socket. Your vehicle can be completely recharged and ready to travel at least 125 miles in eight hours, although it will already be 80% charged after three hours. 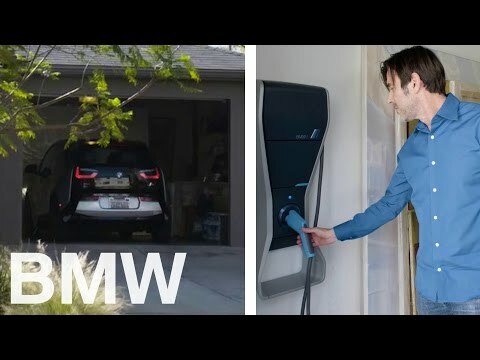 Purchasing a special BMW i Wallbox, however, will enable your i3 or i8 to restore 100% of its battery power in three hours. The average cost of a full charge is estimated at just £2.26. Watch the instructive video below for a demonstration of how to charge your vehicle at home. ..
Accessing a charging point on longer journeys has long been a concern for electric car users. The longer range of the i3, however, means that you are unlikely to be too far away from a public charging point, the locations of which can be found through your BMW iRemote app or your vehicle’s satellite navigation system. You can also register with providers of private charging points such as Chargemaster.com, Ecotricity.com, Pod-point.com or Chargeyourcar.org.uk. All you will require is a three-point 13-amp charger, although rapid-charge AC cables may be a useful option for faster charging. Among the many advanced features standard to the i3 and the i8 is the BMW’s Condition Based Service system, which assesses the condition of your car and alerts you when it needs a service through your iDrive Control Display. Even if booking your i3 or i8 in for a service slips your mind, your vehicle data will be transmitted to the staff at Williams, allowing us to contact you to arrange an appointment. If you have the misfortune to be involved in an accident, you can be sure of an immediate response, thanks to the Intelligent Emergency Call function. This senses whenever an airbag is deployed, and automatically contacts the BMW call centre through an accident-proof telephone unit inside your vehicle. Manufacturer-trained operators will then contact you and inform the emergency services. You can control multiple functions of your i3 or i8 by downloading the BMW Remote app to your smartphone. You can lock and unlock your car from any distance (a useful standby if you lose your keys or leave them at home), as well as sounding the horn or flashing your lights if you have forgotten where your car is parked. You can also save time spent in navigating more complex journeys by sending a route to the vehicle’s satellite navigation system. 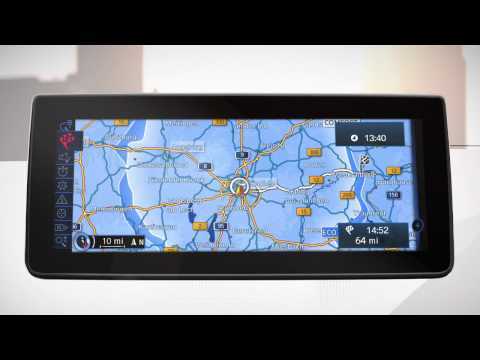 BMW i Navigation is a specialised service designed specifically for the drivers of electric cars like the i3 or i8. Through its Dynamic Range Map you can ascertain your current range, and how it would change when you select a different driving mode. As well as your current battery levels, the intelligent system takes into account such factors as the local topography, weather, and traffic conditions. The map also allows you to search for your nearest charging stations, as well as public transportation routes nearby. You will always know when to take your BMW i vehicle in for a check, due to the Condition Based Service system standard to both the i3 and the i8. This intelligent monitoring tool assesses important information about your car’s present state: oil levels, brake fluid levels, and the degree of wear and tear on major components, along with the time and miles travelled since the last service. Some older BMW i models use generalised Service Interval Indicators rather than Condition Based Servicing. When the odometer reaches 600 miles before your next recommended service a countdown will begin, giving you time to notify your nearest Williams dealership. A look at your service handbook will enable you to see what type of service is required. The “Oil Service” icon will appear when you need an oil or oil filter change, and also when your car requires an “Inspection I” (oil service, microfilter change and additional inspection) or “Inspection II” (the same services as an Inspection I plus replacing of air filters, spark plugs and diesel fuel filters). If you are an existing owner of a BMW i model and wish to find out if your car is covered under BMW Service Inclusive, visit https://www.bmw-service.co.uk/service_packs and enter your registration and mileage. This servicing plan guards you against possible rises in the cost of servicing and parts, and is fully transferable to any subsequent owners of your car. When you purchase a new BMW i model, you also receive standard financial protection against the unlikely event of it failing its first, second and third MOTs. The cost of the repairs and labour required to bring your vehicle up to the standard required are all covered by this plan.